If you take a drive through Hammonton, NJ you will find yourself surrounded by many blueberry farms since Hammonton is the “Blueberry Capital of the World.” In addition to blueberry farms, you will also find Seferino Cotzojay, Head Winemaker at White Horse Winery, working his craft to create some of the best wines New Jersey has to offer. 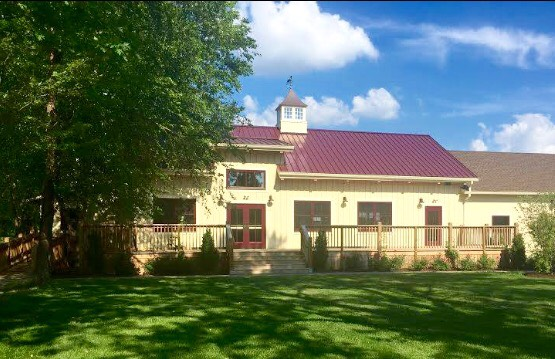 White Horse Winery (WHW) was established in 2013 and opened its tasting room 2016. Today the property has a total of 25 acres comprised of 10 grape varieties such as Albariño, Vidal Blanc, Cabernet Franc and Syrah that are handpicked each harvest. All White and Rosé2018 Wines were made from NJ grown grapes either from the estate or, in a few instances, sourced from local growers as WHW continues towards working with 100% estate-grown grapes in the near future. We had the opportunity to sample a nice variety of the 2018 estate wines and are very excited for the releases. We sat down with Seferino to talk about his journey into the world of wine, winemaking in New Jersey, and what makes New Jersey Wines unique. Ray and Alanna: Share with us your journey into the world of wine. 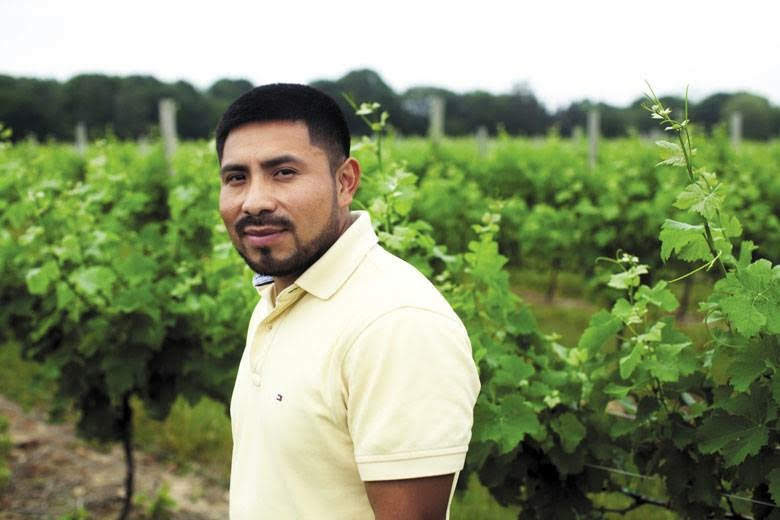 Seferino: I was first introduced to a vineyard in the Summer of 2005 by my brother who was in charge of a 10-acre vineyard on Long Island, NY. He took me under his tutelage and taught me how to de-leaf, shoot positioning, and shoot thinning within the vineyard. That same year I was hired as a harvest intern at Bedell Cellars, a pioneer winery on the Nork Fork of Long Island. My role as the harvest intern quickly became fascinating; it wasn’t really a job anymore as it was a passion to go to work every day. Every day I would learn something new from the winemaker, co-workers, and basically paid attention to every detail that goes into making wine. I challenged myself to one day become a winemaker and that’s how I got where I am today. Ray and Alanna: Who were or are your mentors? Seferino: I have quite a few, especially early in my career. I became a winemaker because I was fortunate enough to work with many winemakers that were willing to teach me on the job. They answered all of my questions that I had back then. They have and still support me tremendously, and I will forever be appreciative of that. I think a mentor is someone who teaches and challenges you to become better every day, and I am lucky to have those kinds of people in my life. 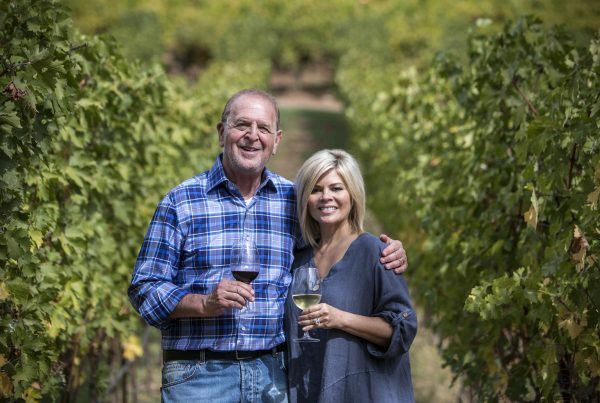 Ray and Alanna: Are there any grape varietals that you particularly love to work with? Seferino: I love Viognier and Albariño. We have two acres of Albariño planted here at WHW. I am excited because in the next two weeks we are going to bottle around 130 cases of Estate Albariño for the first time. It’s tasting delicious! For reds, Cabernet Franc, Chambourcin, and Merlot are leading the way. I also enjoy Syrah. We recently planted two acres of Syrah, which I have a feeling it will do great. Ray and Alanna: What wines do you drink that are not your own? Seferino: I enjoy wines from Long Island. Their whites are very refreshing, perfect for summer, and reds, usually pairing with food, are just great! Lately, I’ve visited a number of wineries here in New Jersey. Cape May Winery, Willow Creek, and Turdos Vineyard to mention a few. I think all their wines are outstanding and very much worth the visit. Within a 15- 20-mile radius I visit Belleview Winery, William Heritage, Cedar Rose and a few others. I like to explore, learn and support local wineries. Ray and Alanna: Describe the terroir at White Horse Winery. Seferino: White Horse Winery is a 50+ acre property where the soil profile is diversified between sand, limestone, and clay. The sand makes the water drain, which is great in rainy seasons. The limestone brings unique flavor and elegance to our wines. As far as the temperature, it is good for fully ripening the grapes during the daytime and the nights are not too cold, which is helpful for the ripening process as well. Nevertheless, in some years when the humidity gets high, we work tirelessly to open up the canopy to allow the air to freely flow through the vines. Ray and Alanna: What should readers know about New Jersey wines? Seferino: New Jersey wines are very diversified in terms of style. You will find wines that are balanced, crisp, and moderate in alcohol, which makes them great with food pairings. Throughout the State, you will find wines ranging from a beautiful refreshing dry white, a bone-dry structure red to a very enjoyable Port wine. 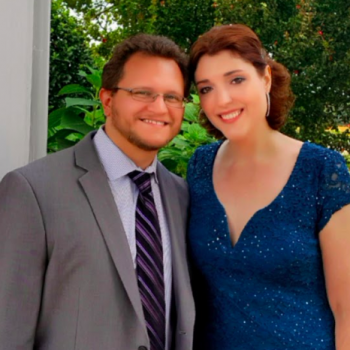 Ray and Alanna: What do you feel sets the wines from White Horse Winery apart from other New Jersey Wineries? Seferino: We have a principle: the vineyard, the hard work, the knowledge we’ve gained for our unique soil type on the property (terroir), and the lands we have acquired throughout the years gives us the confidence to make wines that are true to their own expression, flavors, and character. Year in and year out, our intention is to maintain all the hard work, bringing in the best mature fruit possible we have in the vineyard, and also try to transmit an image in our wines for the specific vintage. Ray and Alanna: Now some tough questions, if you could share a glass with any person, dead or alive, who would it be and why? 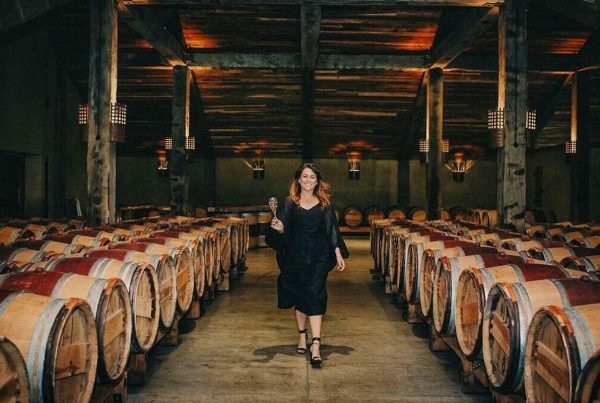 Seferino: I was fortunate to attend a fifth annual winemakers dinner honoring Mexican-American winemakers from Napa at the National Museum of American History on Washington, D.C in 2017. It was there where I shared a table with the famous Gustavo Brambila and Warren Winiarski. Even though we were under the same roof, time was very short to chat with them. 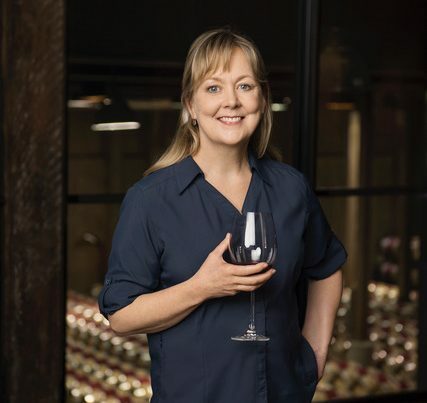 For who they are and what they represent in the Napa wine industry, I think it would be a lot fun and educational to share a glass of wine with them. Ray and Alanna: Lastly, you are on a deserted island and are granted two bottles of wine to drink on the island (1 red/ 1 white). What wines do you choice? Seferino: Can I ask for more than just two? Ha-ha. For white I would choose a Viognier from the Rhone Valley and for red I would take a Cabernet Franc from New Jersey. White Horse Winery won for their 2017 Vidal Blanc Wine in the ‘Best Hybrid White Wine’ Category for Best of Show at the 2018 New Jersey Wine Competition earning 93 Points. For additional wine awards and reviews visit Tastings.com. 2017 Gewürztraminer: While the grapes for this vintage were sourced from Long Island, NY, the style reminded us of a Scheurebe, which we are also big fans of. Medium sweet on the palate with high acidity. Beautiful honey, ginger, rose petals/floral, super ripe peach in peach syrup. One of the best Gewürztraminers we’ve had! 2018 Estate Albariño (Barrel Sample): The estate Albariño makes its debut for the 2018 vintage. At 3 years old and only 2 acres planted, this wine is going to win over with many consumers. With 125 cases produced and specially selected for its Wine Club Members, we will be seeking out a few bottles for our collection before this wine is sold out. The wine is pressed immediately with no skin contact. Nose and palate showcase stone fruit, primarily peach, with a very crisp mouthfeel and lots of acidity especially on the finish. 2018 Cabernet Franc (Barrel Sample): This Cabernet Franc is grown in sandy soil and is also making its debut this coming Fall. If you can get your hands on this wine, please send us a ‘Thank You’ and a glass of it as well! We believe this is a great representation of New Jersey Cabernet Franc and reminded us of wines with characteristics of both California and Loire Valley Cabernet Franc. This wine is aged in 30% New French Oak. Aromas of stuffed green bell pepper as well as notes of vanilla on the palate. A great food pairing wine for all types of cuisine. Additional Samples: Other highlights from the Barrel Samples include the 2018 Vidal Blanc (Hybrid), Traminette (Hybrid), & Merlot (used as a blending grape due to a small number of vines planted). All wines were exceptional; however, the Merlot was a highlight for us. We are hoping that WHW plants more Merlot as this was the best Merlot we’ve had out of the New Jersey. Notes of red and black fruit, lots of tannins but with good structure. A stellar wine that we hope will get a chance to be bottled as a single varietal in the future!